Normally when we head to Bishop, we camp. Tent sites are cheap at the Pit and free in the Buttermilks. Camping is easy and close to climbing. It’s kind of a no brainer. This past trip over the long February weekend was a little different. We were spoiled with a stay at the Hostel California. Their slogan is “Pro climber luxury, dirtbag prices”. Read on to see if the hostel was true to its word. My coworker happened to have a private room at the Hostel California booked for his daughter and her friends. As it is with kids at that age, high school drama ensued and they weren’t going to Bishop as a group anymore. The room was non-refundable and couldn’t be cancelled, so he offered it up to me to use. I was able to update the Booking.com confirmation to add my name to the reservation. Check in was a breeze. I texted the hostel to let them know we would be arriving close to 11pm (oh the woes of driving from the Bay Area). When we got there, the hostel was pretty quiet with few people still awake. I was informed that the hostel wasn’t yet paid for, which didn’t make sense if the hostel was non-refundable. However, the person working let us stay and it was sorted out the next day. We got a quick tour of the hostel and its amenities before retiring to our room. A former bed and breakfast, the Hostel California is quite quaint, and very obviously owned by climbers. Climbing gear decorates the brightly colored walls in the common areas. 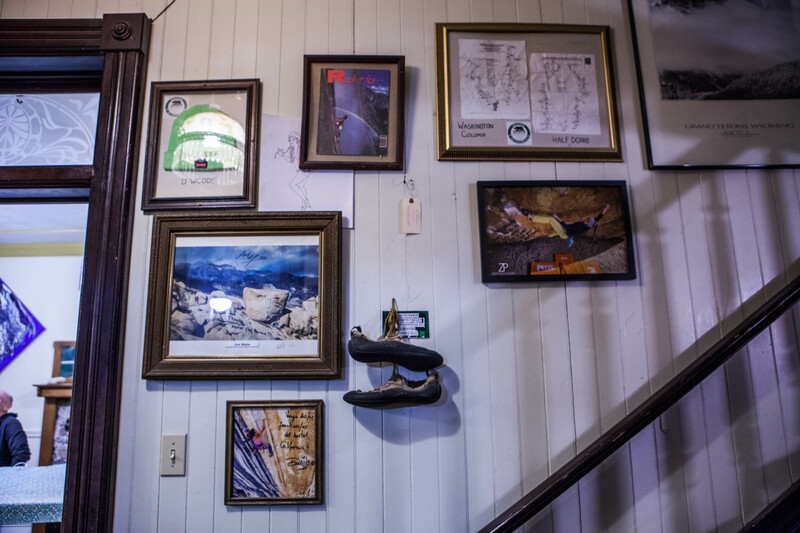 Posters of professional climbers adorn the hallway. If you’re lucky, you might even run into one of your heroes here. We were put in the Mt. Tom room which included its own bathroom and shower with generic toiletries. 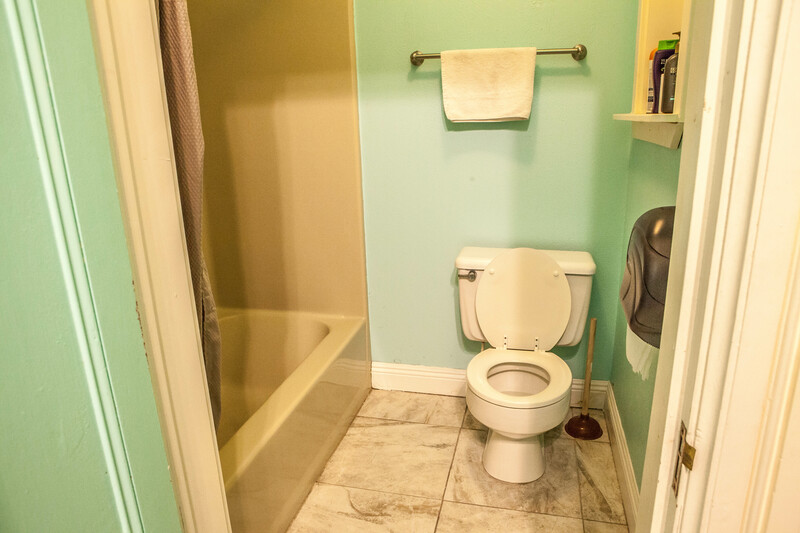 The sink was located outside the bathroom. There was a small desk and a heater. Additionally, the Mt. Tom room had a door that led to the outside of the Hostel California. The room capacity states 4 people, but it had a twin bunk and a full sized bunk. Each bed was equipped with clean linens, pillows and a towel. The mattresses are luxurious memory foam, not your average, cheap hostel bed. The pillows were flat. The headboard, where I wanted to put my phone, could have used a good dusting. The walls are fairly thin. If you’re a light sleeper, bring ear plugs. 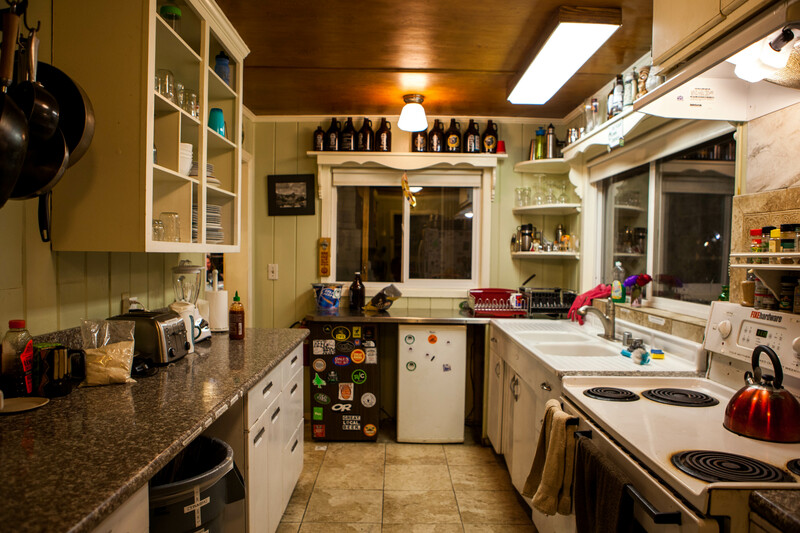 A fully stocked kitchen is available for cooking. It has every spice imaginable and leftover freebies from previous guests. For dinner we were the only ones cooking. During breakfast, folks were dancing around each other to find room at the stove and on the counters. There is ample seating in the living room and at the dining table for hanging out outside of semi-cramped rooms. Other guests were friendly and chatty. Crash pads and bikes are available to use for free, but small donation asked. The Hostel California location is right off Main Street. You can walk to Great Basin Bakery and grab a rosemary shortbread cookie before the crowds line up. Black Sheep Coffee Roasters is one block away. At night, the Mountain Rambler Brewery is within walking distance. 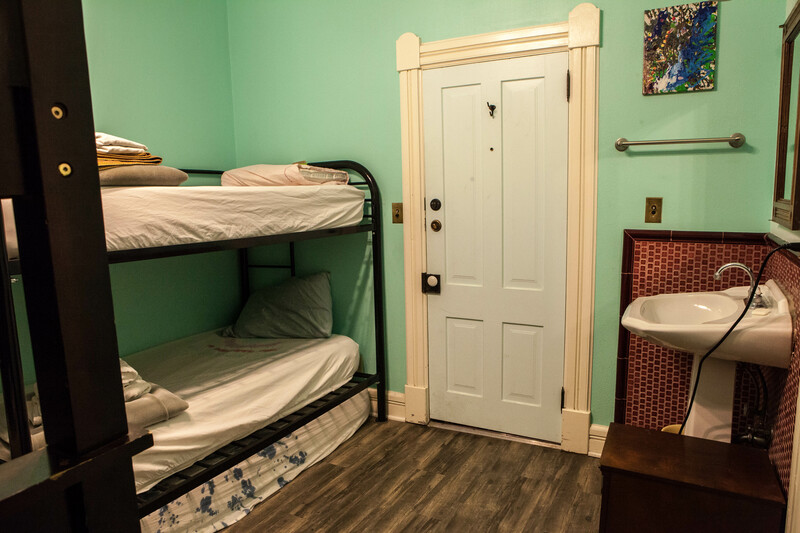 The Hostel California has several room options available: double, quadruple, 8-person dorm, or 12-person dorm. 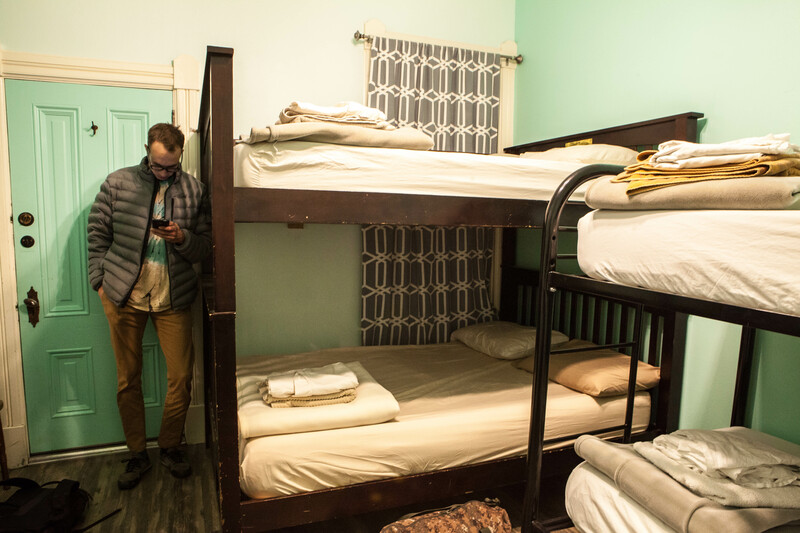 A bed at the hostel will cost you about $25 per person, per night. The price increases to $40 per person, per night for a double room. Book through the Hostel California website. It’s right on the main page. Would we stay at the Hostel California again? I’m not sure. 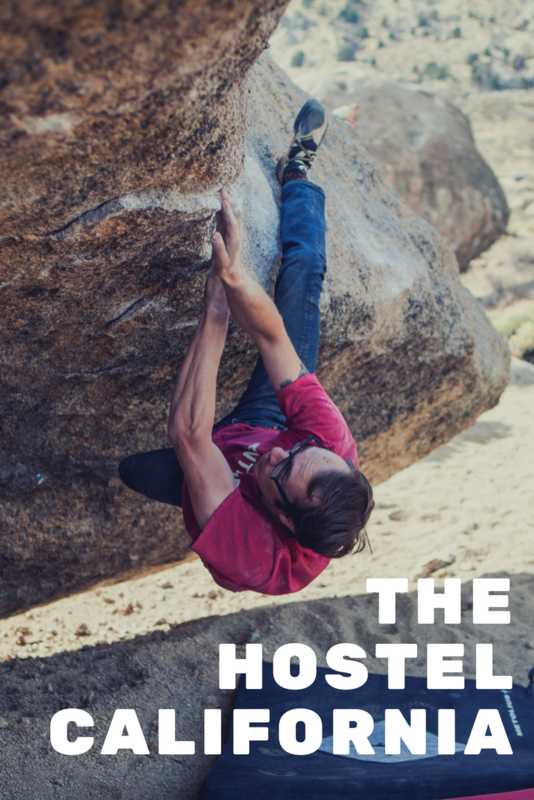 The Hostel California made good on its promise about pro climber luxury. We saw Nina Williams while we were there. And single bed in a communal room at $25 is pretty affordable, albeit not dirtbag prices. However, it’s hard to fork over cold, hard cash for a room when there’s abundant free camping to be had. Additionally, we could get a hotel room for roughly the same price as a private room. The hostel’s allure, though, is its kitchen. The most important thing for us was saving money by cooking food and not going out to eat. Overall, the Hostel California is an excellent value if you are paying for a single bed, or you fill up a private room to max capacity. This hostel is for you if you don’t want to camp, don’t mind communal situations, and you want more than what a hotel has to offer. 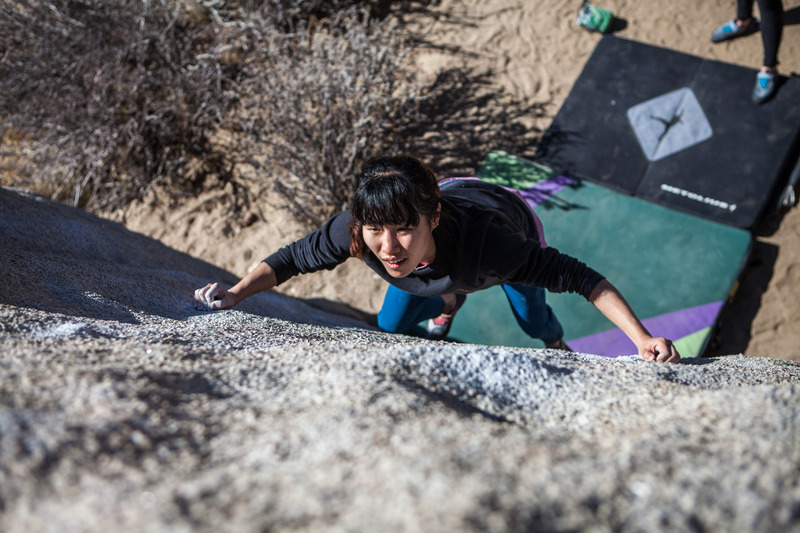 What can I do in Bishop (other than climb)? Go searching for petroglyphs in the Volcanic Tablelands. Visit the Paiute Cultural Center and learn about indigenous people in the Owens Valley. Hike the Ancient Bristlecone Pine Forest. Go hot spring hoppin’. Photograph Convict Lake. Search for the columns at Crowley Lake. Explore the 395. I’ve never hung out in a hostel until then! It was so much fun :) Everyone was really kind. Thank you for stopping by!